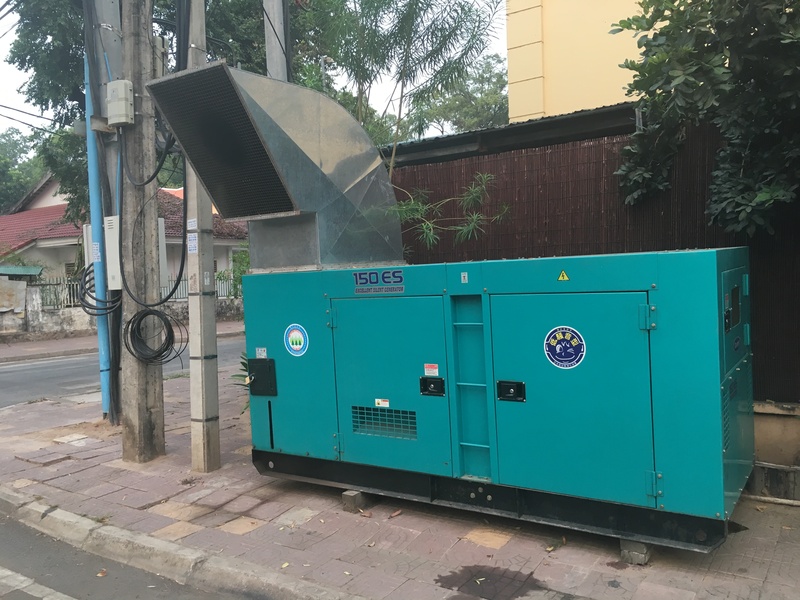 Diesel generators are the world's most ubiquitous distributed energy technology - they're also ripe for displacement. In many ways we see concrete examples of the ladder at work. Several of the beyond the grid (also known as off-grid) industry's leading companies began by meeting their customers where they were - wasting relatively enormous sums of money on heavily polluting and inefficient lighting powered by kerosene. They displaced this expensive fuel by serving their customers with a combination of the world's most sophisticated clean energy technologies - solar PV, LED lighting, and Li-Ion Batteries. We now regularly see and hear of companies that started at low rungs of the ladder expanding their product lines to help them shift from selling things their customers need (lights, mobile phone charging) to things they want (TVs). At the other end of the ladder, many nations have made tremendous progress connecting populations to the centralized grid - the very top of the ladder. Perhaps the best example is China which has connected 1.3 billion people to a centralized grid thanks to its economic transformation. The beauty of a centralized grid is that once connected you can power whatever you want from day one - you get the kitchen sink. However, for a variety of reasons including the cost of serving low population densities in rural areas and poor economic and political governance the progress of expanding the centralized grid has been uneven for many of the world's poorest countries. Worse in sub Saharan Africa population growth threatens to stall or even reverse the progress. But while both camps - grid extenders, and those operating beyond the grid - relentlessly focus on moving populations up the ladder a quiet crisis has conspired to thwart their efforts. That's because we have all assumed that once a population gets a grid connection the job is done. 24/7 power for an endlessly growing array of devices and demands. The reality is however much starker. Some have estimated a population roughly the same size as the purely off-grid world suffer from chronic and prolonged blackouts. These are the 'under-electrified.' The regular blackouts they experience don't just affect household energy demand, they reverberate throughout the economy as industry and manufacturing can be shut down for hours at a time - an enormous cost for poor economies where people get by on dollars a day. That creates a perverse situation where poorly functioning grids send people the opposite direction we are all headed - down the energy ladder. When they do, they force people and enterprises to rely on the world's most ubiquitous distributed energy technology - the diesel generator (diesel gen set). Where these two flows of people meet is a vast poorly served market ripe for intervention. It's the missing middle. Eliminating energy poverty is a noble goal but there are a number of important reasons to tackle the missing middle.The first and most important is that these are also energy poor citizens whose economic productivity as well as potential outcome is stifled by a lack of power. At the same time thanks to its sheer size the market is bigger (though not more carbon intensive) than the US coal fleet which makes it a potential opportunity for driving carbon reductions. Last, and most important from a business standpoint, this market has one big upside - the population has had a taste of electricity and now values it so much they're willing, and able, to pay large amounts to keep the lights on. That's why a race to serve the middle may be coming. On one side beyond the grid solar firms who began at the base of the ladder are moving up as the populations they serve expand their demand for energy services. On the other, large energy firms operating in utility scale markets are developing product offerings to move down the ladder. Firms like Gamesa for example now offer a hybrid solar, diesel, and storage product aimed at diesel displacement. The strategic question now is who best understands the missing middle? It's a population that has largely been ignored because it's assumed that centralized grids function. But where they don't an enormous population has emerged that has proven distributed generation can flourish in emerging markets. For those operating in the shadow of dysfunctional grids the direction of travel is clear - it's time to move from kerosene killers to diesel displacers. Because the pot of gold may not be at the end of the energy ladder - it's in the middle.